Blessed Homemaking: Great Family DVDs for Only $10! Great Family DVDs for Only $10! 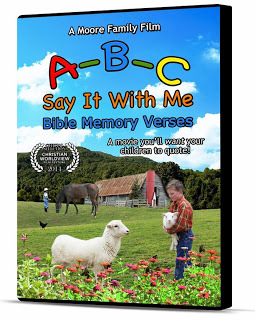 Are you looking for some great, worthwhile, and safe DVDs for you and your family to watch together? I have great news--there actually are some, and they are on sale today for only $10! Join me today at Raising Homemakers for more information on this special sale! We love the Moore family films! I recently reviewed one of their films and will be posting a review for another one here soon.